I finally got my husband to spend a nice evening in my studio! 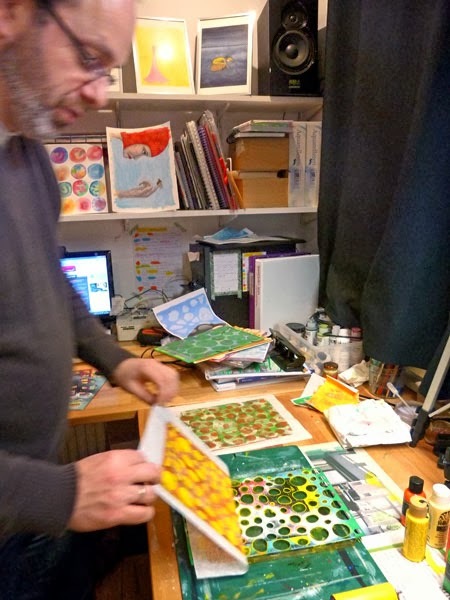 Here he was painting paper with the gelli plate. Did you ever seduce your partner for some creative work in your studio?